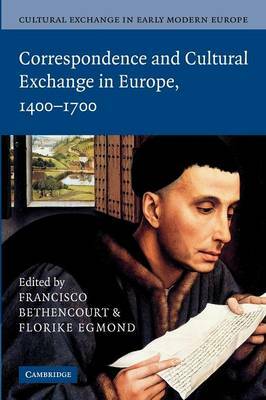 First published in 2007, this volume explores the importance of correspondence and communication to cultural exchanges in early modern Europe. Leading historians examine the correspondence of scholars, scientists, spies, merchants, politicians, artists, collectors, noblemen, artisans, and even illiterate peasants. Geographically the volume ranges across the whole of Europe, occasionally going beyond its confines to investigate exchanges between Europe and Asia or the New World. Above all, it studies the different networks of exchange in Europe and the various functions and meanings that correspondence had for members of different strata in European society during the early age of printing. This entails looking at different material supports from manuscripts and printed letters to newsletters and at different types of exchanges from the familial, scientific and artistic to political and professional correspondence. This is a ground-breaking reassessment of the status of information in early modern Europe and a major contribution to the field of information and communication.